The Honda Civic has repeatedly earned praise among Memphis drivers thanks to its efficient fuel economy specs, and the 2019 Honda Civic mpg ratings continue the trend. See the specs below, then see the Civic in person at Wolfchase Honda in Bartlett to know why so many drivers choose it over the competition. With five different trims to choose from, there’s something for every Cordova need. See how the Civic lineup compares, and find the specs that work for you! Choosing an available continuously variable transmission (CVT) in place of the standard 6-speed manual engine will increase your efficiency even more. Optional for the Honda Civic LX or Sport, the CVT boosts fuel economy to an EPA-estimated 30 mpg city/38 mpg city* rating for the LX, and up to 29 mpg city/37 mpg highway* for the Sport. The EX, EX-L ,and Touring come standard with the CVT. The system alerts you to your driving habits, keeping track of your fuel economy via a color-changing display around the speedometer. Green means your driving habits are efficient; blue means there’s room for improvement. The available ECON button switches up the Civic’s overall performance, allowing you to conserve power in favor of efficiency. 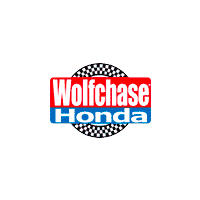 Test Drive the Honda Civic at Wolfchase Honda in Bartlett! *25 city/36 highway/29 combined mpg rating for LX and Sport model with 6-speed manual transmission. 30 city/38 highway/33 combined mpg rating for LX CVT models. 29 city/37 highway/32 combined mpg rating for Sport CVT models. 32 city/42 highway/36 combined mpg rating for EX and EX-L CVT models. 30 city/38 highway/33 combined mpg rating for Touring CVT models. Based on 2019 EPA mileage ratings. Use for comparison purposes only. Your mileage will vary depending on how you drive and maintain your vehicle, driving conditions and other factors.